1) The natural lighting that is good for photos in the nursery is limited to early hours of the morning. 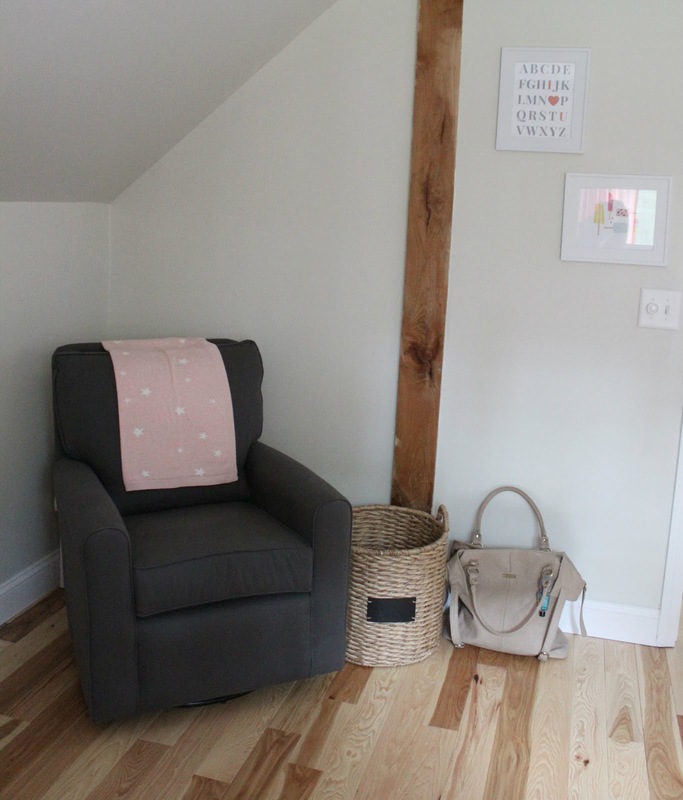 The beam on the wall in this picture is currently being made into a growth chart ruler! *this shop owner is great to work with!!!! This week I am cutting my work schedule back. Baby Casey should be here any day and my work days are making me exhausted! LOVE it!!! So pretty!!! Now come on baby girl!!!!!!!!! Absolutely adorable! 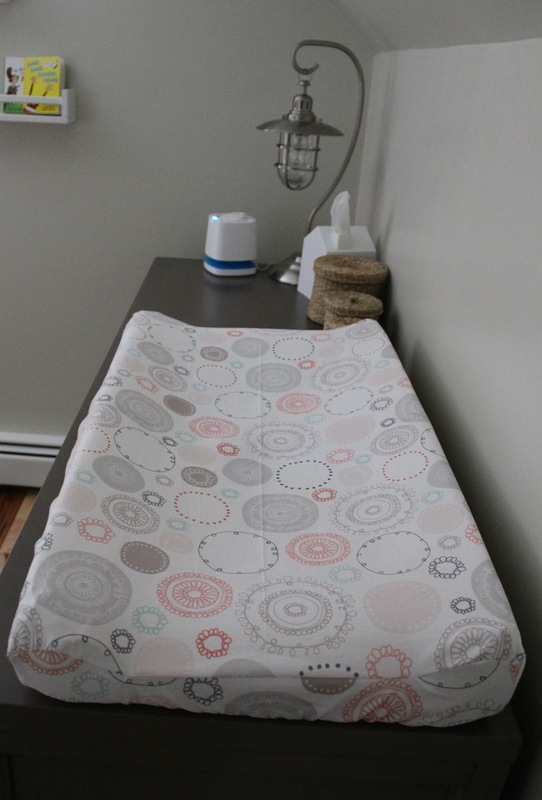 The sheets and changing pad cover go perfectly. 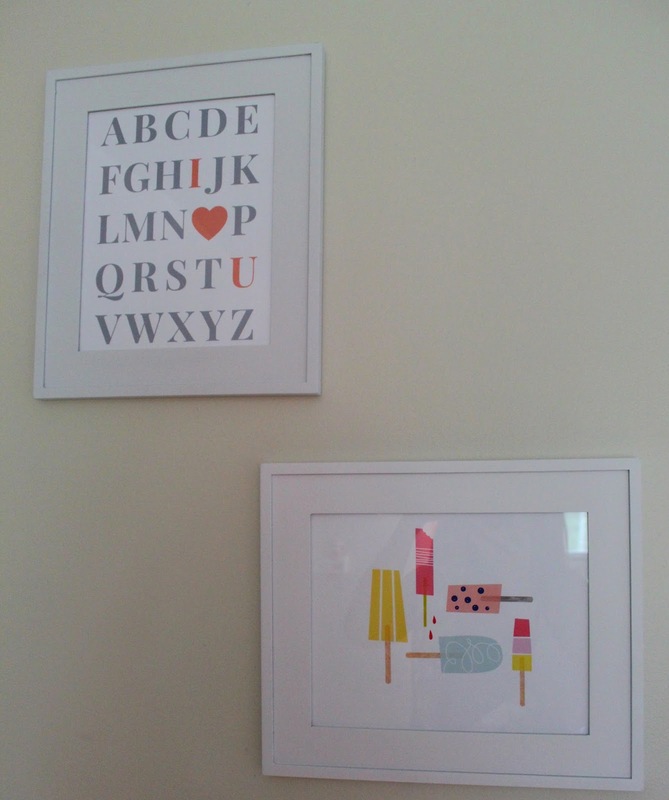 Kelly Ventura, your print is perfect in this nursery! LOVE it!!! I love the colors you've chosen! 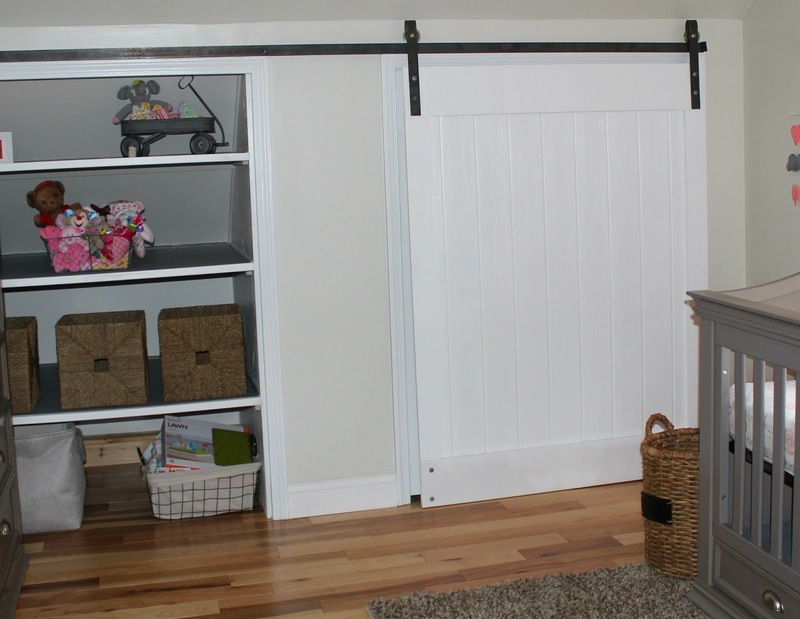 :) The sliding barn door is one of my favorite things of course. I can't wait till I'm at this point too! This is adorable! I love all the details... and the sliding barn door??? OH MY GOSH IT'S AMAZING. You did an amazing job, it's beautiful! And the bedding is perfect! I'm in love with this room! Great job! It's perfect! I LOVE THAT DOOR! what a precious space you've created!! I expect a totally play by play when baby comes!! Absolutely adorable!! Kudos to daddy-o on the cute barn door! I love your style! Everything looks so cute! 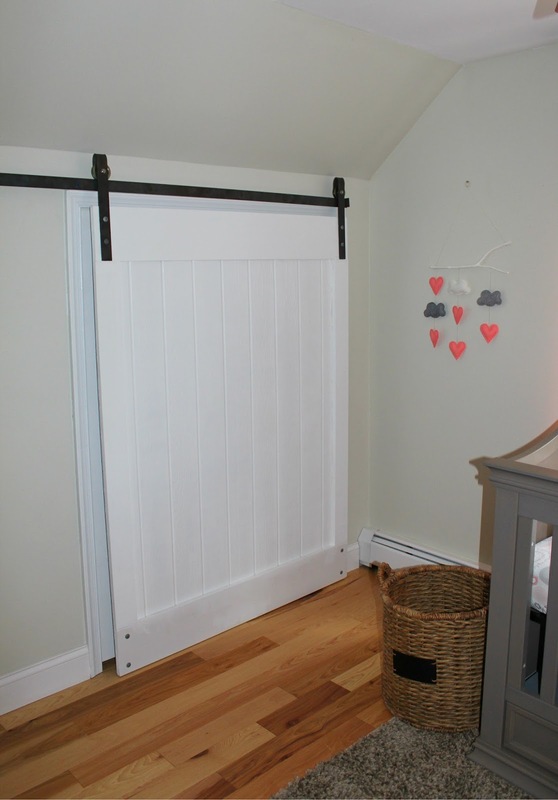 The barn door is amazing, I have always wanted one! This is a gorgeously decorated room! Love it!!! It's such a beautiful color palette. 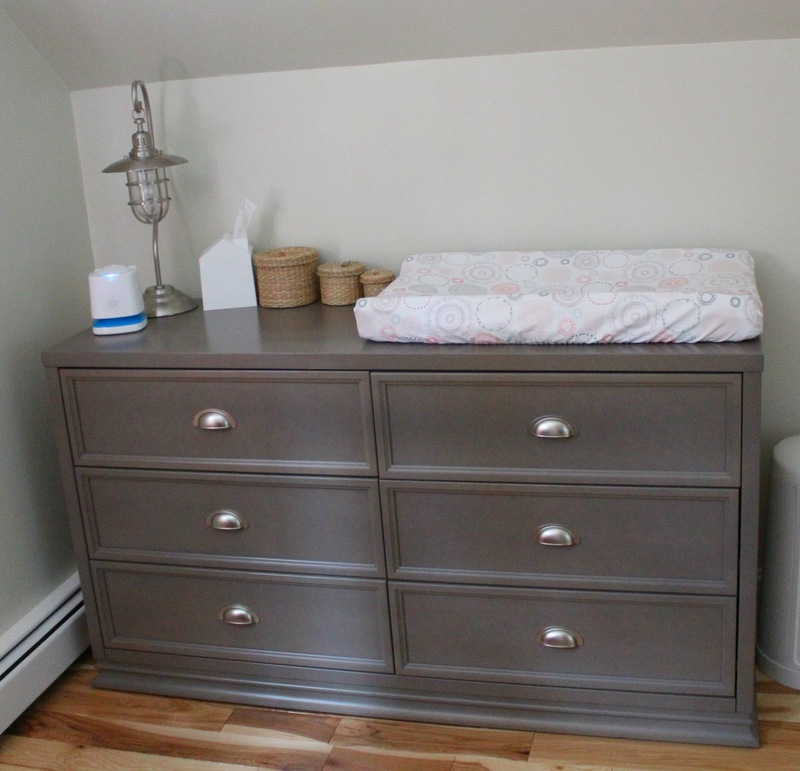 It was so hard for me to decorate my son's nursery. I didn't know what I was having so I just went with the gray walls and I really kind of just stopped there. He was just 5 months. I'm a slacker but he still sleeps in the cosleeper in our room so I feel like the nursery is so neglected. I go in to grab a diaper or an outfit here and there. I'm sure it will look semi cute maybe by the times he turns 6 years old. 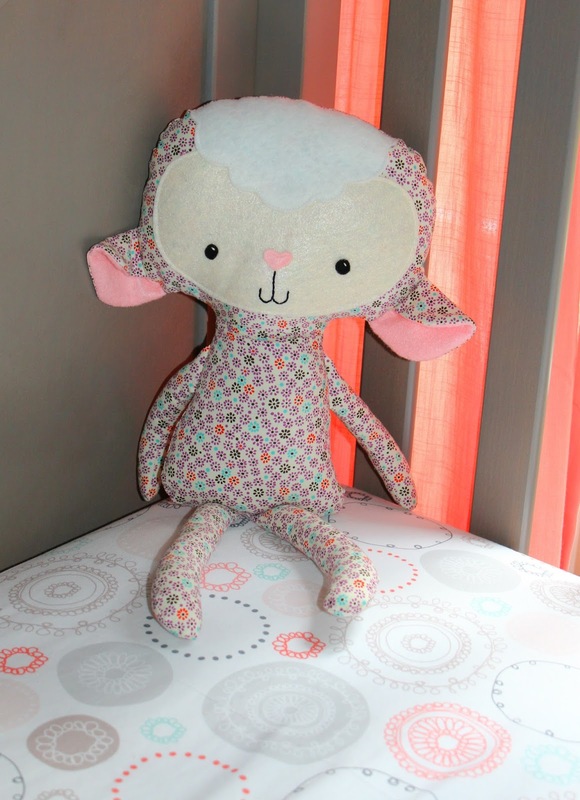 What a gorgeous nursery Jess! You can tell a lot of love went into that room. Can't wait to see it in person! 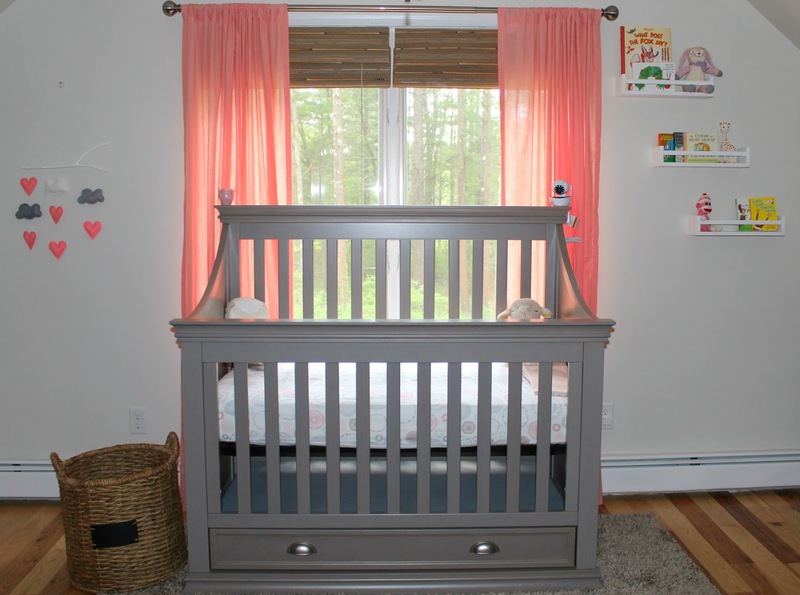 The nursery is so cute girl!! 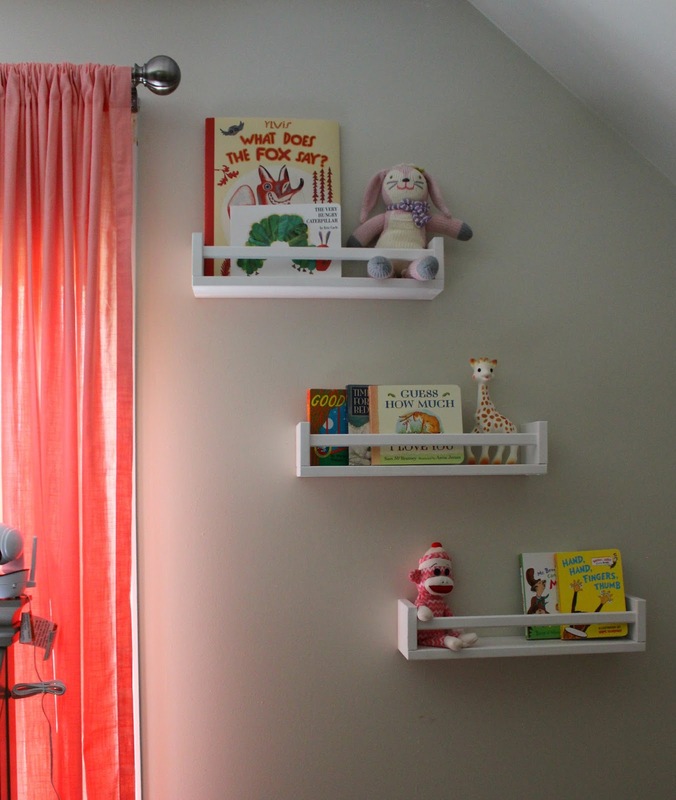 Awwww I'm beyond obsessed with this nursery! I knew it was going to be adorable but it's even cuter than I had anticipated. WELL DONE!